Stoletov Anatoliy I. Lukmanova Rushana Kh. 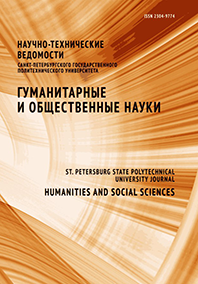 The article deals with the theoretical and methodological aspects of using literature in teaching philosophy. The transformation of the social structure implies introducing educational methods that develop such qualities as non-standard thinking, critical thinking, communication, emotional intelligence. We have established that using literary texts in philosophy courses improves figurative thinking, which is necessary for understanding abstract ideas, and teaches students to formulate their thoughts more precisely and expressively. The suggestive nature of literary imagery reduces the time for mastering philosophical material and invokes the collective unconscious experience of culture through the archetypal structure. The literary text demonstrates the systemic nature of the world view, the multiple equally valid interpretations. The rational and the emotional are closely related in the literary text, allowing to improve compassion and empathy. The literary text initiates the process of self-interpretation, necessary for personal growth and experiencing existential fullness. Thus, using literary texts in philosophy courses contributes to forming personal qualities necessary for life in modern society.